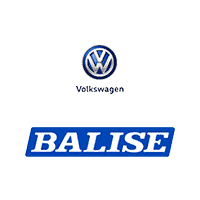 Run – don’t walk – to Balise Volkswagen at 525 Quaker Lane/Route 2 in Warwick, RI for our greatest deal of the year! Now through September 30, qualified buyers can purchase any in-stock used vehicle with 0% APR financing during our Zero Percent Pre-Owned Event. This special opportunity is good for a limited time only, and the cars are really moving! The event includes all of our Certified Pre-Owned stock, where every vehicle is specially selected for low mileage and exceptional condition. These top-shelf pre-owned cars, trucks, and SUVs all come with a comprehensive warranty and 24/7 roadside assistance coverage. Even people with credit issues should come on down and talk to us. We understand that good people can end up with bad credit scores, and our lenders understand this, too. Together, we’ve helped countless Rhode Island drivers upgrade their vehicle while rebuilding their credit score. Give us a call at 401-352-5912 and we’ll talk! Like every good deal, the Zero Percent Pre-Owned Event can’t last forever. It ends September 30, so hurry in today! 0% annual percentage rate financing for 36 months available on any Certified Pre-Owned in stock 2008 or newer. $27.78 per month per $1000 borrowed. Requires financing through dealer with select lender. Amount financed may not exceed purchase price of vehicle including sales tax and fees. Available to well qualified buyers with 800+ credit score, not all will qualify. Valid at select Balise dealers only. Offer ends 9/30/18.